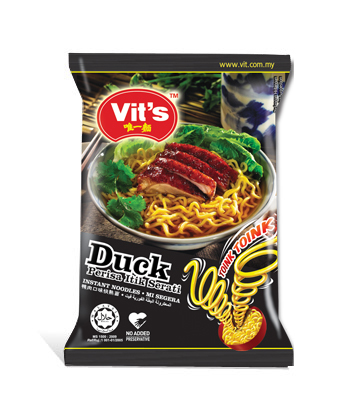 This product range offers instant noodles that are super-duper springy and pre-packed with some of our favourite flavours like curry, tom yam, duck and seafood. They are so springy that every bite gives you that toink-toink bouncy feeling. 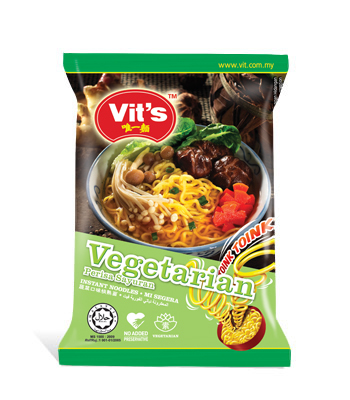 Springy noodles taste great with this tantalising curry flavour. 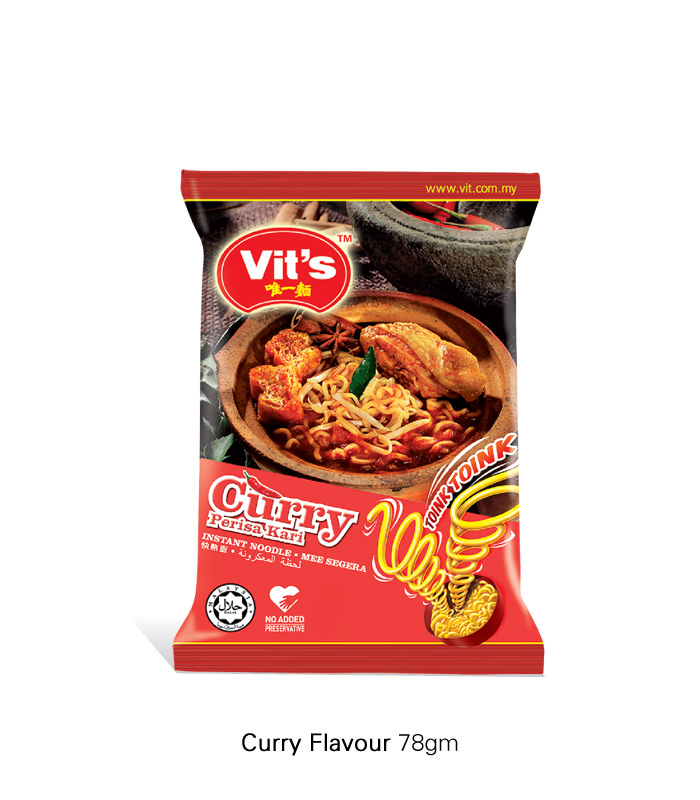 Giving you a satisfying blend of traditional spices that is uniquely Asian. 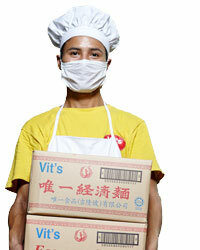 Wheat Flour, Palm Oil, Salt, Permitted Food Conditioner (E466, E451, E500, E501), Added Nutrient (E341). 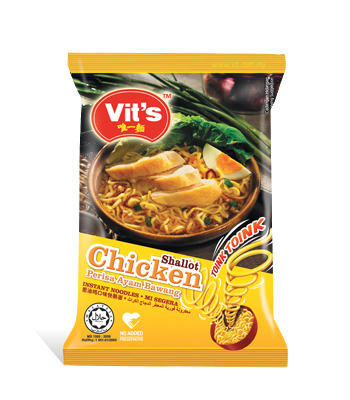 Salt, Chicken Seasoning Powder, Coriander Powder, Coriander Powder, Curry Powder, Chili Powder, Pepper Powder, Fennel Powder, Cumin Powder, Garlic Powder, Permitted Food Flavour, Spices, Permitted Food Enhancer (E621, E635), Contains Wheat (Gluten). Discover a sea of taste in a bowl. 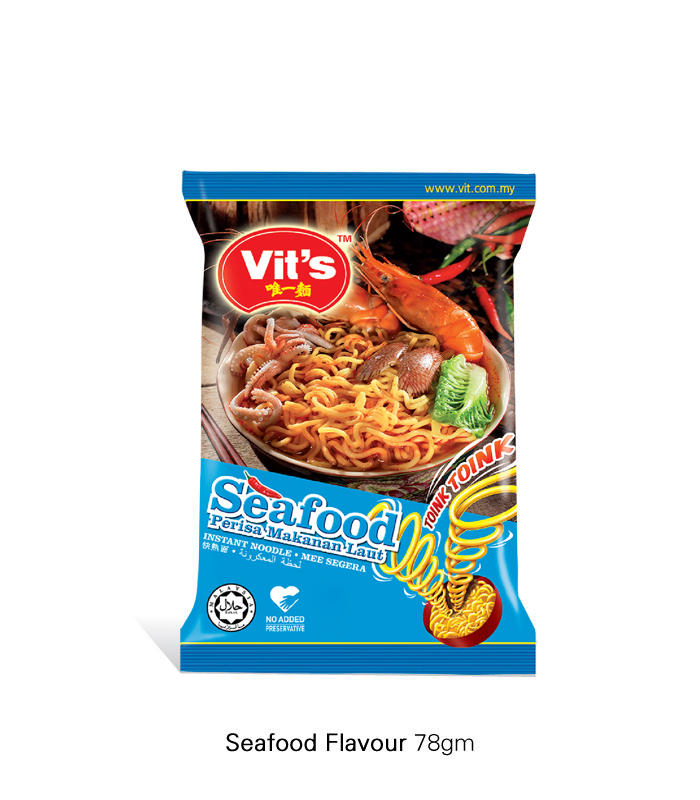 For seafood aficionados, this bowl of springy noodle in a seafood broth will be just what you are looking for. 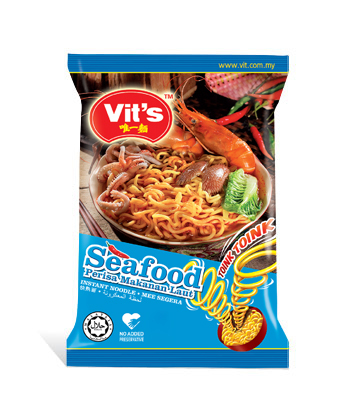 Salt, Prawn Seasoning Powder, Chilli Powder, Roast Chicken Seasoning, Sugar, Spices, Permitted Food Flavour, Permitted Food Enhancer (E621, E635), Contains Wheat (Gluten) and Crustacean Family. 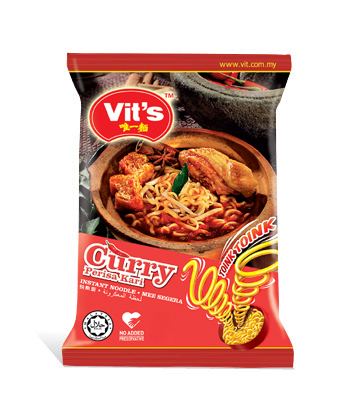 This savoury blend of Tom Yum spices with springy noodles is an exotic taste made local! It is a definite satisfaction to the last drop of sour and spicy soup! 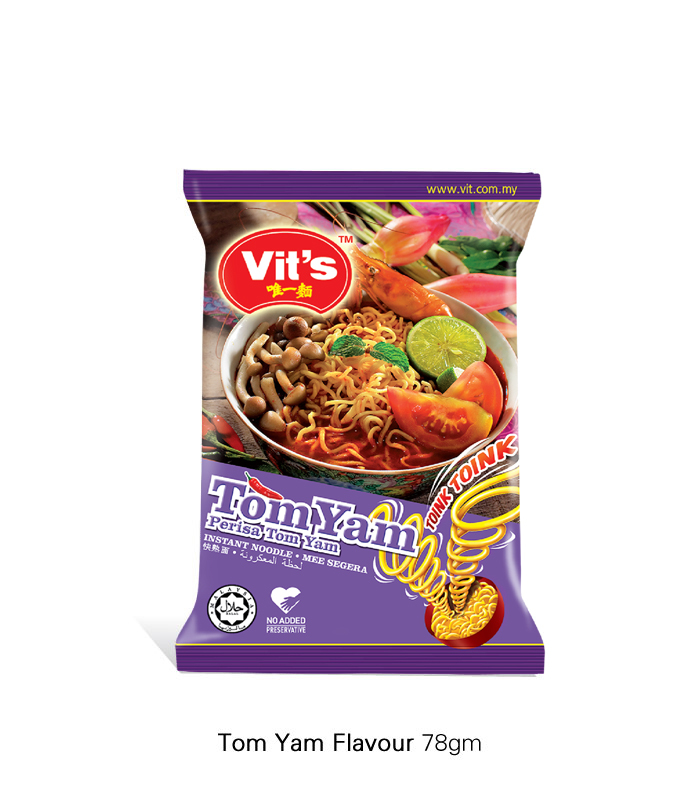 Salt, Tom Yam Seasoning, Permitted Food Enhancer (E621), Sugar Parsley, Contains Wheat (Gluten). 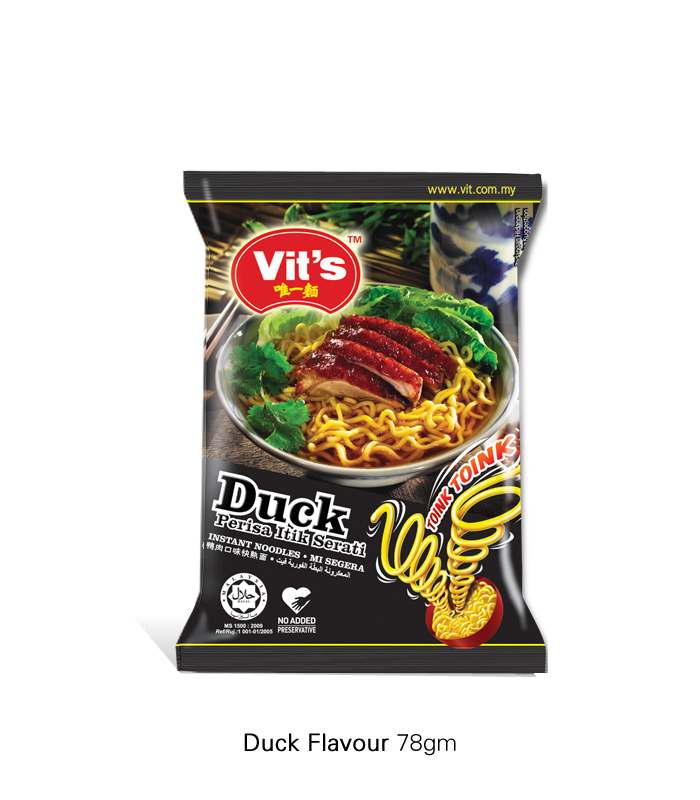 This slightly spicy duck flavour tastes great with springy noodles. A must try Asian specialty that is satisfying with every mouthful. Salt, Monosodium Glutamate (E621), Sugar, Spices, Garlic Powder, Pepper Powder, Duck Seasoning Powder. This vegetable flavoured soup with springy noodles is an absolute choice for a simple meal. 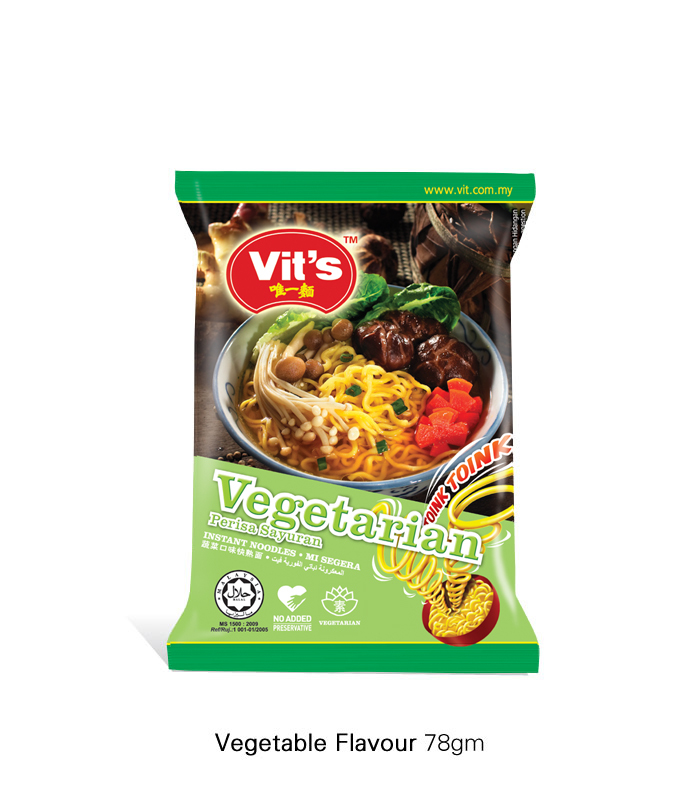 It is a taste that will satisfy any vegan. Salt, Monosodium Glutamate (E621), Sugar, Spices, Tapioca Starch, Mushroom Seasoning Powder. 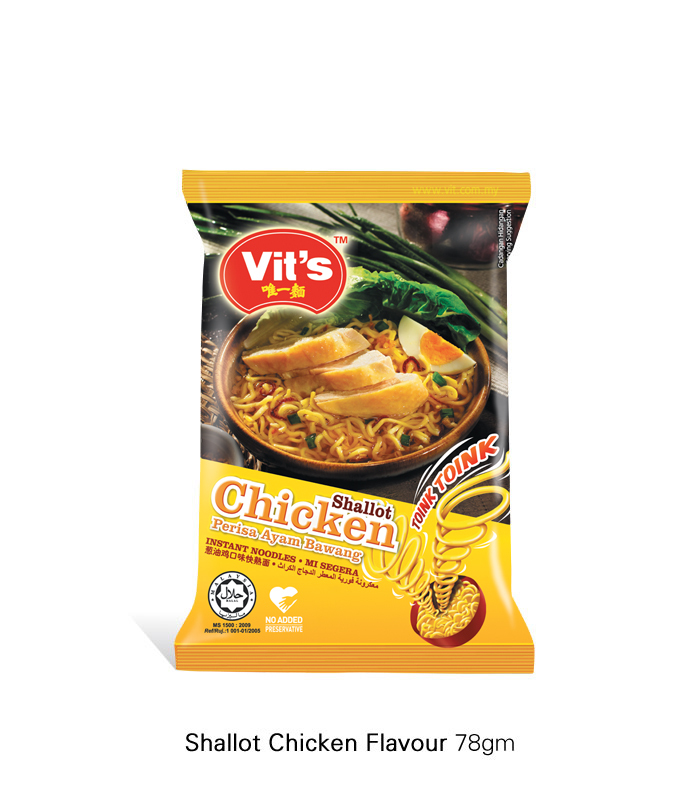 Chicken soup, shallots and springy noodles are a perfect blend of flavours. Delightfully simple and satisfying to the last gulp. 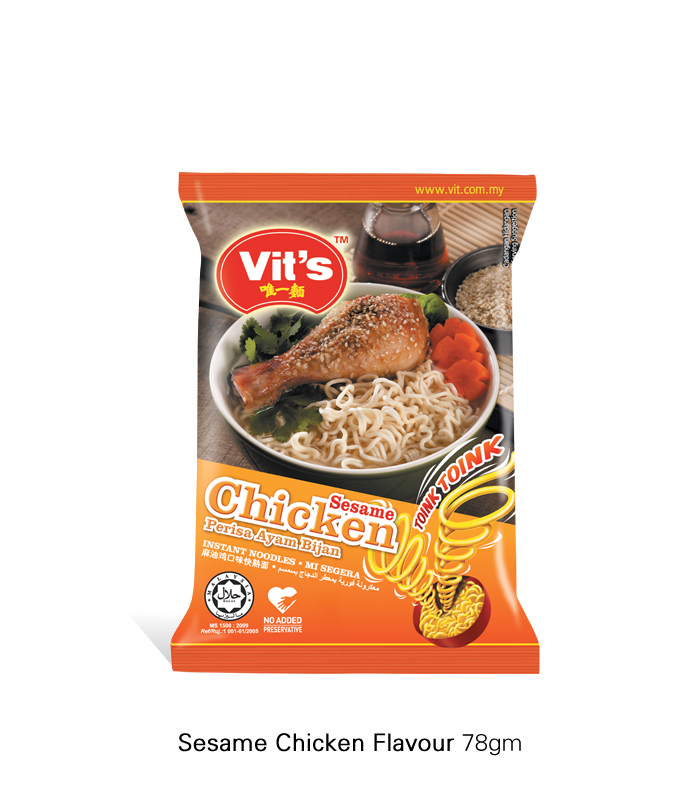 Salt, Permitted Food Enhancer (E621), Sugar, Roast Chicken Flavour, Starch, Pepper, Spices, Permitted Food Flavour, Parsley, Palm Oil and Shallot. 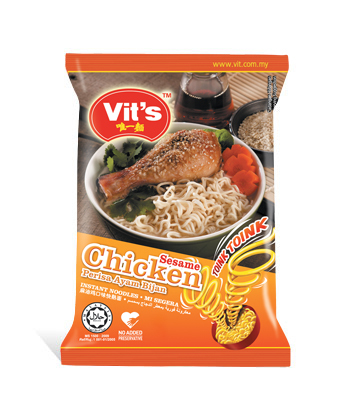 The perfect combination of chicken soup, sesame oil and springy noodles gives a precise taste of goodness. Deliciously springy and great to the last bite. Salt, Permitted Food Enhancer (E621), Sugar, Roast Chicken Flavour, Starch, Pepper, Spices, Permitted Food Flavour, Parsley, Sesame Seed. What make Vit’s a better choice? Learn more. 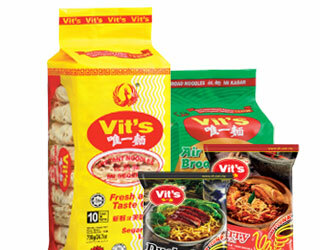 We are a manufacturer and distributor of our own house brand Vit’s and we do provide private labelling services if you wished to source our products for your brand. Lot 126, Jalan Taman Industri Integrasi Rawang 1/2, Taman Industri Integrasi Rawang, 48000 Rawang Selangor, Malaysia. 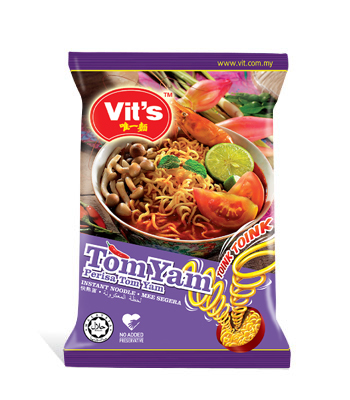 Copyright © 2015 VIT MAKANAN. All rights reserved.